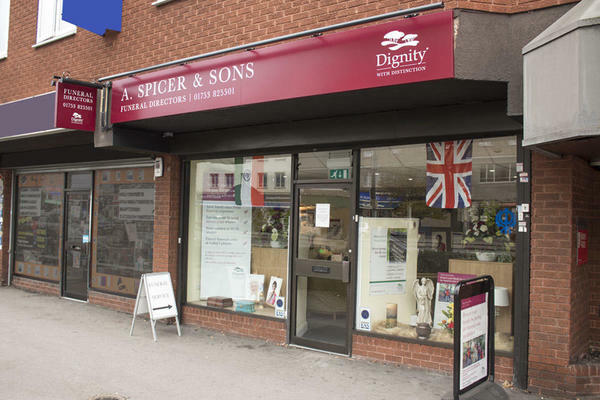 We are A Spicer & Sons Funeral Directors in Slough, and we are here to arrange a personal and unique farewell for your loved one. We will do everything we can to make a difficult time a little easier for you and your family. We feel privileged to be able to serve our community with expertise and uncompromising compassion. We cater for all kinds of funerals, no matter what faith or culture, we will always be able to help. Our team specialise in Asian funerals and repatriations, so if this is the most fitting kind of service for your loved one, then you can depend on us at A Spicer & Sons. Our facilities are kept to the highest standards so we can tend your needs the best we can; we have a large chapel of rest and a ritual preparation area, which you are more than welcome to use. Call us today on 01753 825501 to talk through your personal requirements. At A Spicer & Sons Funeral Directors, we understand how special life is with those that you love. For us, every funeral is unique and personal. We have a service to fulfil every wish, with every detail carried out with the same uncompromising quality of care. From a traditional service, to a colourful woodland burial, your options are limitless with our Full Service Funeral. If you have a little more flexibility when it comes to arrangements, then we can provide a Simple Funeral for a lower cost. You can park for one hour free of charge close to our funeral home, and there is also pay & display parking. We are on a parade of shops next to the junction for Farnburn Avenue. Our staff are available 24 hours a day on 01753 825501 if you require our services outside of these hours.